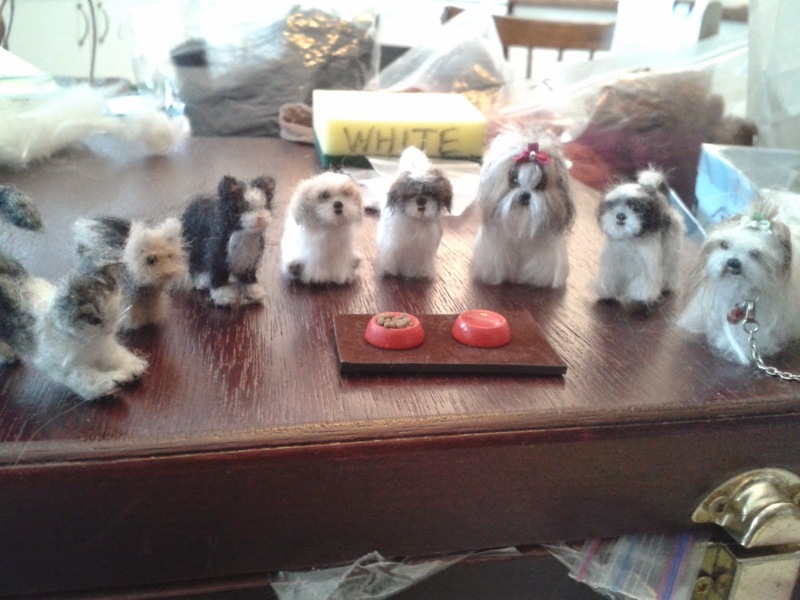 Here is miniature felted Lola taking a small nap while Binky seems to say: Hey come and play! Binky is happy, he finally gets to play! And here are the real cute pug pair, left is Binky, right is Lola. Those were made in april 2015. I finally had a moment to post them! I am currently working on a commission for Créations Libellule, a beautiful new dog breed will be my next post, hope to see you there! Carine you have outdone yourself. The resemblance is exceptional. You can almost hear them yelp playfully. Can't wait to see your next creations.